In case you thought Sturgis was just about racing hogs, think again. 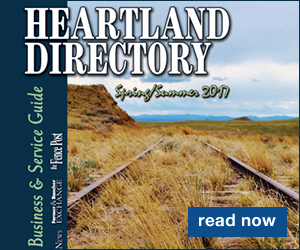 Tying goats and roping calves will be on the minds of young cowboys and cowgirls from in and around the western South Dakota town this spring and summer. 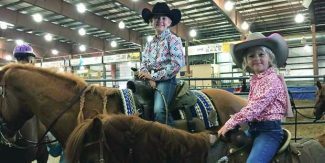 The new Sturgis Youth Rodeo Series will give kids age 0-18 the chance to compete in a multitude of events, vying for saddles and much more, said Dee Haugen, Sturgis, South Dakota. Haugen said the series is "for the kids to learn and grow and get better in a safe environment." 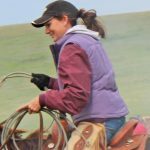 She credits youth playdays and rodeos for helping to cultivate and grow lifelong friendships she continues to cherish, and Haugen hopes the Sturgis youth series will offer the same camaraderie for the next generation. Saddles will be presented to the top contenders in each age group, Haugen said, and she was pleased with the local support she discovered for saddle, buckle and other prize sponsors. "We have phenomenal sponsors. I have a huge list," she said, and pointed out that in just a couple of days, she had easily found sponsors for all of the big ticket items to be given away. "It's unreal. People love doing things for kids," she said, and counted her husband Tyler and herself, owners of De-Tye Vet Supply in the group of those who enjoy supporting youth rodeo activities. "We are giving great awards, we aren't going to give silly awards. This is for our kids. Everything we get goes back into it," she said. The Todd Sloane roping saddles for each division are age-appropriate, she said. For example the winner in the 0-7 year old age group will receive a 12-inch saddle. Seventeen buckles as well as beaded tack and much more are on the prize list. Rodeos will be held at the Sturgis arena on Ballpark Road. Haugen said each competitor's top four times will be averaged to determine year-end winners. 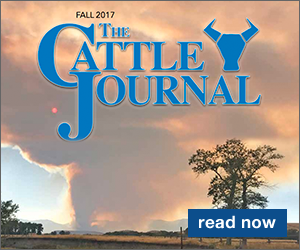 Competitors don't have to pay the $30 membership fee to participate in the rodeos but only members will be eligible for year-end prizes. The Sturgis area has been in need of an event like this "for a long time," Haugen said, but she didn't feel like she had the time to take it on herself. A friend, Amanda Karrels, approached her about working together on the project and Haugen agreed. It has taken community-wide participation to put the pieces together. With roping cattle provided by local horse trainer Jay Mattsen, goats provided by Haugen and another local goat tyer, Stephanie Grubb, Adam Karrels doing the announcing, and "all parents" being volunteers, the rodeo will be the result of a team effort. For more information, check out sturgisyouthrodeoseries.com or contact: Amanda Karrels at 605-490-2105, Dee Haugen at 605-347-0066 or Stephanie Grubb 605-641-2886.